If you are looking for a truly reliable high-quality camcorder, you may have put Canon Vixia HF G30 and Canon Vixia HF G40 into your consideration. Now, you are certainly wondering what the differences are between these two models. Of course, needless to say, Canon Vixia HF G40 is actually an update for Canon Vixia HF G30. This fact explains lots their similarities. However, is there any improvement in Canon Vixia HF G40? Or is it actually the same as Canon Vixia HF G30? Let us see below! Obviously, in choosing the right camcorder, one of the most important factors to consider is the recording quality, both the image and audio parts. If we put Canon Vixia HF G30 and Canon Vixia HF G40 into a test, we can hardly tell the difference between their recording quality. They both perform an excellent job in capturing 1920 x 1080 Full HD videos with 60p frame rate. They both offer a maximum bitrate of 35 Mbps, which is available in the MP4 format. They can also record in AVCHD. However, Canon Vixia HF G40 actually comes with an improved image sensor. Both models rely on Canon HD CMOS Pro image sensors and the DIGIC DV IV image processors. However, Canon Vixia HF G30’s image sensor is 2.91 MP whereas Canon Vixia HF G40’s image sensor is 3.09 MP. That is not so much of an upgrade, but still worth a note. Compared to Canon Vixia HF G30, Canon Vixia HF G40 should be able to deliver sharper and crisper images, especially at high zoom levels. Another difference between Canon Vixia HF G30 and Canon Vixia HF G40 that often goes unnoticed is their display screens. Each of them is equipped with a 3.5” display screen and a 0.24” electronic viewfinder. However, Canon Vixia HF G30 features an LCD screen whereas Canon Vixia HF G40 offers an OLED display screen. In many ways, OLED is more superior than LCD. An OLED screen can be controlled pixel-by-pixel; something that is not possible with an LCD screen. As the effect, an OLED screen can effortlessly deliver better colors and contrast levels than an LCD screen. 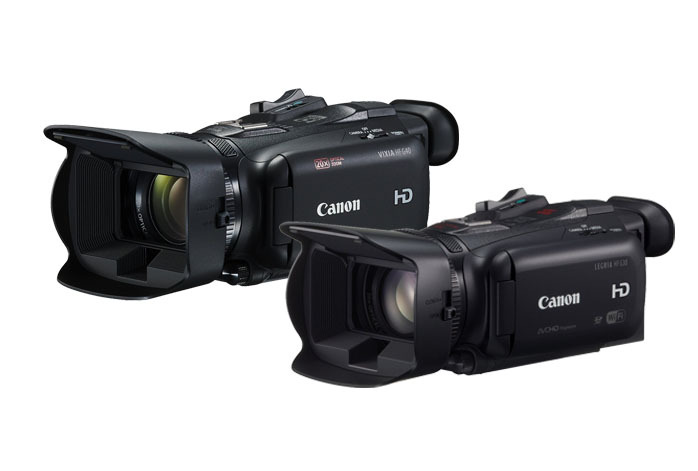 The other specs and features of Canon Vixia HF G30 and Canon Vixia HF G40 are identical. They both offer the maximum optical zoom of 20X and the capability to perform dual recording, as well as built-in Wi-Fi. In the end, we recommend you to choose Canon Vixia HF G40. The higher pixel count and better display screen are good improvements to be had.